On empathetically slipping Into the shoes of a street walker with this immersive character study. It is fitting that “Sauvage/Wild” opens with an unexpected moment that shouldn’t be spoiled here, given the film itself is not what Camille Vidal-Naquet thought it would be. 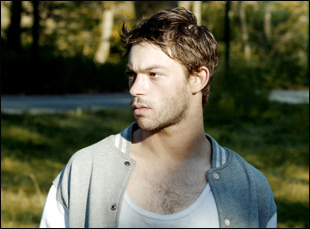 The French filmmaker who had made previous shorts about men who find themselves increasingly isolated by their circumstances, whether an actor whose self-importance gets the best of him in “Backstage” or a son who believes no one but him can save his dying mother after doctors inform her she has a brain tumor in “Mauvaise Tête,” was attracted to the notion of someone looking for love in all the wrong places and while that would lead many to the same place Vidal-Naquet ended up setting his feature debut, within the world of prostitution, he surprised himself and audiences alike when it isn’t the johns who are desperate for a connection as you might think in “Sauvage,” but rather (Felix Maritaud), the man who services them, bereft of a physical home and streetwalking at night to parlay his work into a sense of belonging. There’s a timeless quality to “Sauvage/Wild” both broadly and specifically as the hustler’s solitary journey takes him in and out of bedrooms and nightclubs to the point where it threatens to become a closed loop, but Vidal-Naquet’s film speaks to a present in which the decreasing number of interpersonal exchanges one needs to make in life, particularly those who can afford to gatekeep, has made casual sexual encounters no different to the customer than ordering delivery, making Léo’s quest for connection particularly heartbreaking as he takes the work far more personally than either his clients do or his fellow gigolos with whom he shares the woods near the highway, picking up men on their way to or from the city. 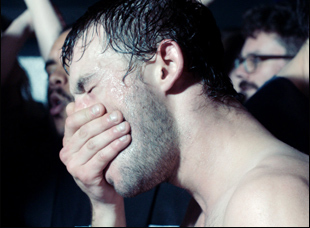 Although the encounters Léo has are intense, they are rarely intimate, yet the unflinching camerawork from cinematographer Jacques Girault forges a bond between Léo and the audience rather than between him and anyone on screen as his illusions are shattered and you and he are allowed to feel the reality of the situation set in at roughly the same speed. The film proved to be a sensation when it premiered last year at Cannes and after traveling the world this past year, it arrives on American shores this week at Film Forum in New York as the start of a US theatrical run. With Maritaud and Vidal-Naquet recently making the trip to attend New Directors/New Films, the two spoke about immersing themselves into the life of a street hustling, telling a satisfying story about a man of unquenchable thirst and making the actors comfortable with such risque and physically demanding material. How did you get interested in this world? Camille Vidal Naquet: I didn’t start with the idea of a subject. I was just thinking I’m going to develop a character study about somebody who is alone, who’s an outcast, doesn’t own anything [or] have any belongings, but he’s craving for love in a brutal world. That was a character I developed in my short movies prior to that, and since I wanted someone who doesn’t own anything, it led me to the world of the homeless first and then because I wanted someone who was craving for love, it led me to the world of male street prostitution. Felix, was there anything that helped you figure out who this character was? Felix Maritaud: It was not about an identity, more about vibration. I didn’t want to have a psychological or mental point of view about the character because it was just about living situations, and a situation needs only life and humanity. It doesn’t need any information. It is interesting to hear the word vibration – I understanding figuring out the physicality of this was quite important. Felix Maritaud: We based this character only through body and physical work. It was the only point. I don’t know anything about this guy except he’s craving for love and tenderness everywhere he can find it. Camille Vidal-Naquet: Yes, and I thought it was important to have a choreographic workshop [before filming]. I was trying to find a way of teaching the actors to use their body and to be at ease with their body and say the body is here to make art because we were making a very graphic film. The interest was for everybody to feel comfortable and to say this is a work of art, so it was important to know that the body of these actors was a tool. I had done this workshop myself and I think this dancing workshop was very important because it taught them to get in touch with their emotions and learning to fall. This choreographer who was directing the workshop is a very good friend of mine, and I trusted him totally and what was interesting was that I was not there when they were doing the workshop, [which] I think was very important because the actors feel free. They make mistakes if they want because when a director is there, there is always this need to impress the director, of doing a good performance, but there was no idea of good performance. It was just performing and being free with their bodies, so I think it was a very, very important step in the preparation for the film. The camera itself has an intimate connection with the physicality. What was it like figuring out the cinematic language? Camille Vidal-Naquet: [We wanted] the filming process to be as organic as possible. Some people tell me that it looks like a documentary and what is funny is that when we were making the film, we never used the word realistic. It was always in terms of energy, so I wanted the camera to be handheld from the very beginning, but it was not [for] a documentary purpose. We were filming a vibrating world — a world on the edge — and I thought it was very interesting for the camera mimicking this, so it was just a bit fragile, but also when you think about it, to use the camera when it’s handheld, you can have a camera that’s very soft and can caress the protagonist. My director of photography Jacques Girault was very talented with the handheld camera and you have to know it was a big camera, so it was really heavy for him and he had to be very strong but still be very focused on what he was doing. I also had the idea from the beginning to use zooms, which are not commonly used, but I think the zooms give a huge lot of energy. To me, it was like a heartbeat [where] for example where you feel bad and you have a contraction or something like that. I wanted the filming to be like organic tissue and this is why we chose this way of filming. When Léo gets into a fight with his fellow street hustler Ahd in a public park, it looked like those may not have been extras associated with the production, but real bystanders in the background. With how much you shoot outdoors, were you throwing the actors into real life? Camille Vidal Naquet: No, that was my first desire and we [actually] did this in the casting — I asked some of the actors to make the casting outside in the streets and to see how it goes when they play with other people. For Felix, it was a given. It was very easy. But for other characters, it was kind of difficult because it’s weird, right? To do something where you’re filmed in the middle of other people, but it was very interesting because yeah, [the people in the street] don’t care. We wanted to do that in the nightclub [scenes], but it was not possible. It was too complicated because you know you have to make the take and you really have no control, and at real nightclubs, they wouldn’t let us change the lighting or the [other] changes we wanted for the film. But you notice that when they fight, they’re real people [in the background] and it’s really authentic reactions. Of course, they were seeing people fighting — and they were also seeing us shooting a film, but they didn’t exactly know what was going on. Are there people fighting? Is it in the movie or is it reality? And I think it’s really interesting how they looked at the actors. It’s true that I would’ve wanted to make it more [realistic], but it’s difficult. For a director, it’s a dream to do that. Felix, for moments like that could you just give yourself over to the character? Felix Maritaud: As I respect a lot the character I play, I tried to stay focused on what they are feeling, but I don’t want to control it – what I am as a human to control another human being, so I was focused on making myself available to bring emotions and humanity to the character. It was not choreographed. I was just living the scene, living the character’s vibrations. As for the johns that Felix’s character sees, were there certain cultural aspects you wanted reflected in those visits? Camille Vidal Naquet: The clients were a bit mysterious for me because I met a lot of guys who were hustling in my years of research for the project, but I didn’t meet a client, so I only knew them from what these guys told me. I had to picture them and I was surprised by how natural it felt. It told me a lot about how lonely the people in the city are. Like for example, when [Felix’s character] spends the night with the old man or with the disabled person and I understood that [for] a lot of people when they’re disabled, especially in France, it feels like it’s taboo. When you’re disabled, nobody talks about it. It’s like you don’t have any sexuality and you’re forbidden to talk about it. But these are just regular desires we have to talk about and I know that the boys in the woods, they didn’t care at all who their clients were. It was all simple and natural and I thought it was very important to say it. The film also asks a lot of questions about our mentality towards people living in the streets and about how dangerous some people are. For example, when you see those two clients who are extremely cruel and violent with him, it’s not my place to judge what they do [as far as consensual sexual activities], but what I find revolting is they feel they have the right to do whatever they want to do to someone, even if it hurts them, just because they pay. To me, that was very shocking, like we’re clients and we can humiliate you and you’re not someone. You’re an object. And through these clients, I was talking about the prostitutes’ basic [rights as people]. I’ll never forget these guys on the street that I met and I say that they’re still living in this film, so the more it travels, the better it is. “Sauvage/Wild” is now playing in New York at Film Forum and opening on April 26th in Los Angeles at the Nuart before expanding across the country on May 3rd.